Singapore generated 8,443 tonnes of solid waste every day last year. This is equivalent to the weight of about 5,600 cars. So where does all the rubbish go? After it is collected and the recyclables sorted for processing, the waste is sent to one of four incineration plants. Incineration reduces the volume of waste by up to 90 per cent. The ash and other non-incinerable waste are then transported via barges to Semakau landfill, the world's first man-made offshore landfill. Singapore's only landfill has a limited lifespan, though it is projected to last until at least 2035. 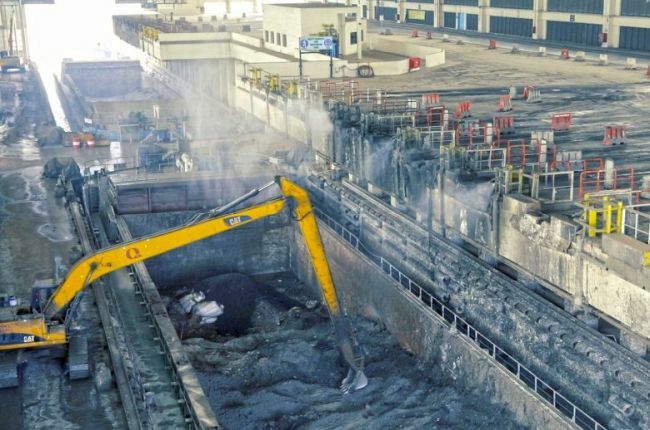 "What's next is that we are also looking at recycling bottom ash for land applications such as construction," said Mr Joseph Boey, 49, project director of the National Environment Agency's integrated waste management facility in Tuas. "Once we are able to do that, it means there would be even less waste for landfilling." Watch how Singapore handles waste management in the second episode of Singapore Works, a video series about the people and processes behind the scenes that enable Singapore to function seamlessly.